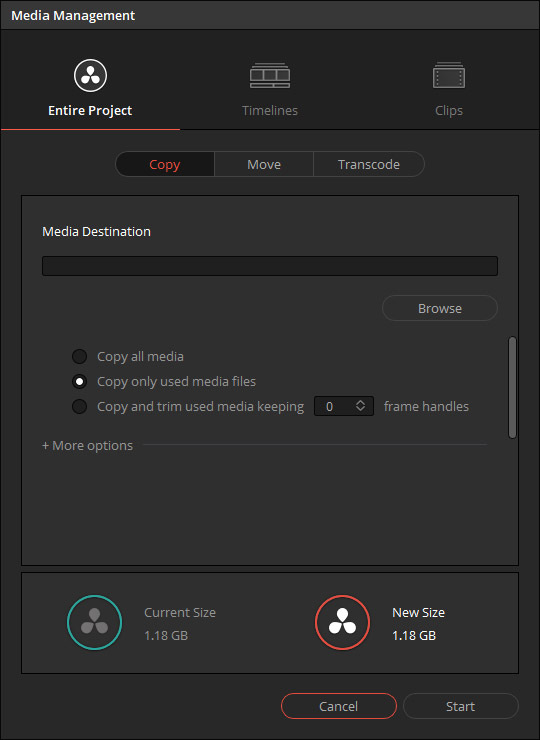 Creating a project in DaVinci Resolve is easy enough – you double-click the ‘untitled project’ tile and you’ve created a project and are ready to go. Although obviously a little more knowledge on project settings and those ‘gotcha’ things would be helpful! We’ll get onto those in the next tutorial, but in this one, I want to go through something that is very important if you want to be careful with backup, and managing your precious projects once they’ve been created. In the last lesson, we talked about databases and backing those up, but as you can imagine that can be quite involved. 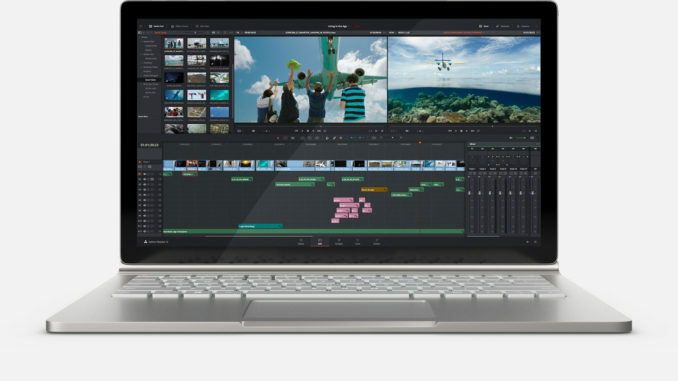 DaVinci Resolve gives you other options to keep your projects not just safe, but also portable – in that you can move them not just between databases but also between machines. 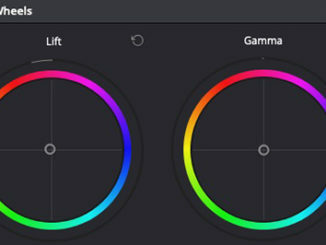 Needless to say, that as with many many things inside DaVinci Resolve, these options can be found with a simple right-click. The ‘Import’ & ‘Export’ options go together so if you have exported a project, you can move across to another machine and import it. However, this feature doesn’t support copying the media files, and is designed to allow moving a ‘project file’ from one machine to another. All while assuming that the media is already on that other machine, or on a network or portable hard drive. To import a DaVinci Resolve project, look for the .dra file and import that. 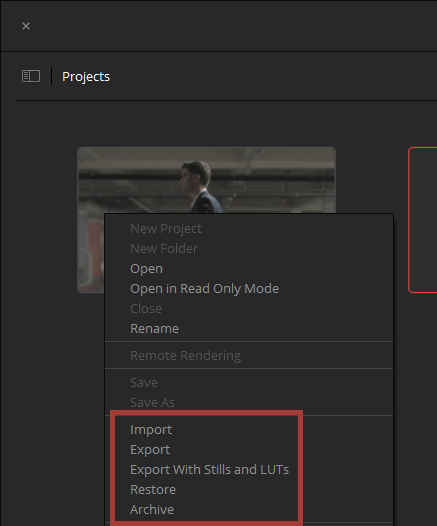 The ‘Export With Stills and LUTs’ option is great if you have either used LUTs (Look-Up Tables), or you have saved a look using the ‘Stills’ function inside DaVinci Resolve — we’ll cover this in detail once we start talking about the ‘Color’ page. If you have any doubts about what may have been done, it won’t take much longer to include LUTs and Stills, so you can use this. In short, archiving you project will INCLUDE copying the media files along with a project file (a .dra file). 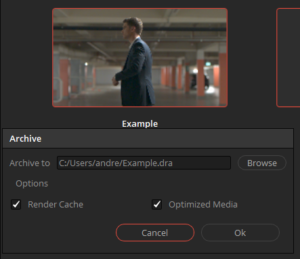 These options allow you to include items that may have been processed inside DaVinci Resolve already to give you faster playback (Render Cache and Optimized Media). If you include these, it may take a little longer to archive the project, but if you have used these in your project and then you ‘Restore’ the archived project – this will also restore the processed files, ensuring that you get up and running with the file quickly, and don’t have to do the processing all over again. To ‘Import’ or ‘Restore’ just right-click on any area of the Project Manager where there isn’t a project tile to get the above options. NOTE: To ‘Restore’ an archived project, you need to look for the FOLDER, and not just the .dra file (the folder should be named ‘projectname.dra’). So, navigate to the Archived FOLDER when you use the ‘Restore’ function, and then click OPEN with that selected, and DaVinci Resolve will do the rest. 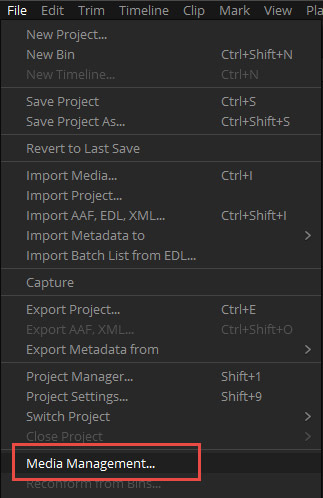 Obviously, once archived or exported, these projects are independent of a database, but must be imported or restored before they can be used in DaVinci Resolve again. The exported .dra file and/or the archived .dra folder can be moved or copied to another drive for safety as needed without the need to export a database. 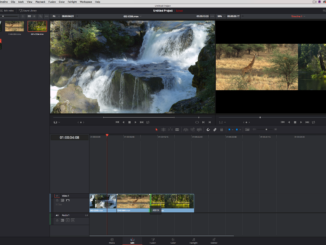 – we’ll cover these in a future DaVinci Resolve lesson. Check out our growing list of tutorials here; you can learn more at Blackmagic Design’s site.